Over the past week I was made aware of some rumblings regarding homophobia in my home town: Leeton. In a nutshell, Leeton High School (incidentally the high school I attended for 6 years) is doing a production called “gLeeton: don’t stop believing”. There are 13 lead roles: the characters of Rachel, Quinn, Finn, Artie, Mercedes, Puck, Tina, Brittney, Santanna, Kane, Randy, Joe and Jenny. Of note is the absence of the character of Kurt, an outcome that prompted a letter to the local newspaper, “The Irrigator” on June 3rd entitled “Play Decision Homophobic”. The writer goes on to question how the exclusion of the gay character from the production looks to members of the rural community who are struggling with their own sexuality. What transpired was a flurry of responses online many from students involved in the production and many from former Leeton youth who were bullied for being gay and moved away to safer environments. 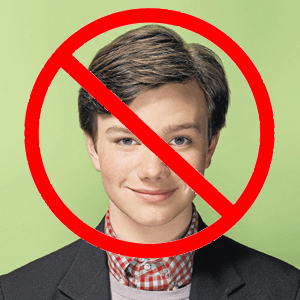 “We don’t have a Kurt in our production as asking a school student to play a homosexual character is a personal choice,” said Alice in The Irrigator, admitting that the Kurt character had been “cut”. “The person that would be playing Kurt would probably end up having rumours spread about them, which would end up resulting in a bullying situation,” wrote Liam Warren. Instead of firing off a letter to the Irrigator I wanted to get my facts right so I rang Greg Horton the Principle of Leeton High School and settled in for a chat. He convinced me that the decision not to cast a Kurt was a consequence of the students auditioning for self-determined roles and no-one wanted to perform as “Kurt”. It was not an intentional cut. I was satisfied with this response, and I do not want to take away from the students and staff who are putting much time and effort into what will be a great production for them. But what a shame it isn’t looking at the principle messaging of Glee: Acceptance. When I asked Greg if they were performing the unofficial theme “Born this Way” by Lady Gaga – he wasn’t even aware of the song or artist. However, what I found more interesting from my conversation with Greg, was when I asked what support services were in place for our GLBTQI youth in Leeton. He could not answer. There were no specific services at the school, and he was not aware of any LGBTQI identified youth in his school. Although he did admit that he probably, by nature of statistics, had some students who were struggling with this. He could not tell me where he would refer a student who had these types of questions or issues if they presented, except he would take it to the schools “welfare” committee. I couldn’t find reference to this committee on the LHS website. What I did find on the LHS website was a section called “Caring for Students – Student Safety” which went into detail around bullying, racism and drug safety. Using the search function on the site I inputted Gay, and it did not return one record. This says to me that there are no LGBTQI policies of any form publically available from Leeton High School. Whilst it would be easy to make Leeton high school an example I fear that this is common amongst many regional schools. I deliberated for a few days as to whether to respond with a letter to the local papers, However, I find myself limiting my response to this blog? Why? Because my Mother and Brother still live in Leeton and I fear repercussion on them. Isn’t this reason enough to question homophobia in the town? What is needed is a specific LGBTQI program for our secondary schools. Period. The pilot trial in 12 schools this year needs to be extended and quickly. If there is a genuine desire to minimise homophobia in our schools, and I will hold our educators to account on this, then there needs to be openness to accepting it. The one thing that Mardi Gras has learnt over the years is the need to get out there and be who we are. It’s a shame that a student wasn’t prepared to perform in a Kurt inspired role, but hopefully if an opportunity arises again for an actor to portray a gay character like Kurt, whose wit is likely to charm the audience, then this is explored a little more. On a final note when I asked Greg if he would be open to me, or a performer even, coming to the school and speaking to the students regarding this, he wasn’t so keen. Show’s that Leeton High School can produce a Co-Chair of Mardi Gras, but isn’t ready to have that person come back. Show’s we are still lucky to be in the accepting Ghetto, but go outside and it’s a different world. Update 10/6 – The department of Education has provided an official response. Read it here. This entry was posted in community, Homophobia, Uncategorized. Bookmark the permalink. Can you do me a favour and email me your contact details? I’d love to get in contact with you.